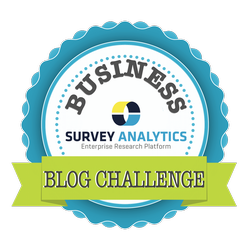 SurveyAnalytics Blog: Day 6: Who Was Your First Customer? If you don’t know...maybe you should find out! Your first customer is your earliest adopter that took a chance and it's important to how your business came to where it stands today. There are very few moments that are as exciting as the moment your first paying customer cuts you a check. We had a chance to ask Survey Analytics President Vivek Bhaskaran who is first customer was for both QuestionPro and also his first customer when he split the Enterprise business to create Survey Analytics as we exist today. "My very first customer was an associate professor out of Binghamton CUNY in upstate NY. Her name was Jennifer Jensen. She wrote me a check of $3,000 for QuestionPro - for a 1 year license. Till this day, we are friends and I almost did not cash the check. But of course I needed the money and we bought more servers. I remember talking to her in the evening, and working overnight to develop features that would solve her issues and create functionality for QuestionPro. Fundamentally, its the essence of bootstrapping a business. Listen and act - Fast!" "When we split the Enterprise business and added more functionality to Survey Analytics, Facebook, CareerBuilder and McGraw Hill moved over to the enterprise platform. After a year Facebook decided to bring all their research in-house. Careerbuilder and McGraw Hill are still clients today and we've had a very deep and productive relationship with them over the years - as they've grown and expanded - so have we."